One of the favorite promos offered by Royal Vegas is their welcome bonus which is spread across the first four deposits. The first four deposits offer a match of the deposit up to $300. This could add up to potentially $1,200 worth of free money. Newcomers appreciate this bonus that gives them more money to play with. There is a whole roster of games to enjoy here at the Royal Vegas either by instant play or via mobile. The games offered are large choices of slots, live games, and a good selection of table games. Video Poker is another choice and there are a few casual games like Keno and scratch cards. The Royal Vegas online Casino relies on the Microgamming Software provider to power their casino. This is a favorite of many of these who enjoy online casino action. This software provider pays close attention to detail in their games by offering stunning graphics, a large variety of themes and some excellent progressives. Once a player decides they want to deposit at Royal Vegas they will soon learn that they have plenty of options to choose from. These include Maestro, Visa Electron, Visa, Mastercard, Trustly, Neteller, iDebit and Skrill. With so many deposit methods to choose from it makes depositing at the Royal Vegas Casino easy. Players also want to know that should they win at the Royal Vegas Casino that they will have some options to withdraw their money. Most often the same method that was used to deposit is used for withdrawals. Methods for this that are available are, Neteller, Skrill, iDebit, Visa, Mastercard and Visa Electron. 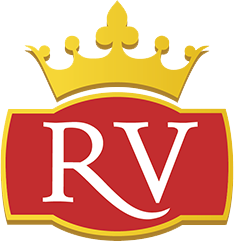 Royal Vegas Casino wants to create the best user experiences and they contribute to this by making their services available in multiple languages such as English, Dutch, Spanish, Greek, French, Norwegian, Portuguese, Norwegian, Swedish, and Japanese. There are several others available through the pop down list. The site offers instructions for language changes. Just as the Royal Vegas wants to make their casino services available in multiple languages they also want to allow for the use of as many different currencies as possible. Most people will want to use the currency of their home country from where they are playing. But the casino will allow the player to choose. For those who want to use the Royal Vegas Casino for their gambling activity they have different choices available to them. Then can opt to use instant play through their browser, download the software or play on the go utilising the casino's mobile version. Also, there is live casino game play offered at the Royal Vegas Casino. Customer support is as important to the Royal Vegas Casino as the other components of their site is. To make contacting them easy they offer three important options. Patrons can use email to contact support, or they can tap into the life chat. Another option is to contact the casino by telephone or use the FAQ section.